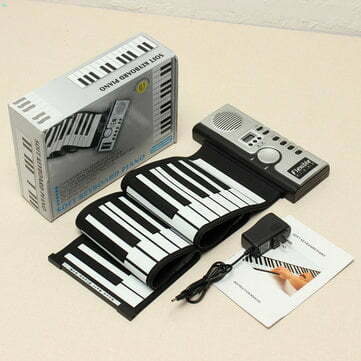 61-Key Roll-Up Piano Soft Keyboard for lots of fun on the go! 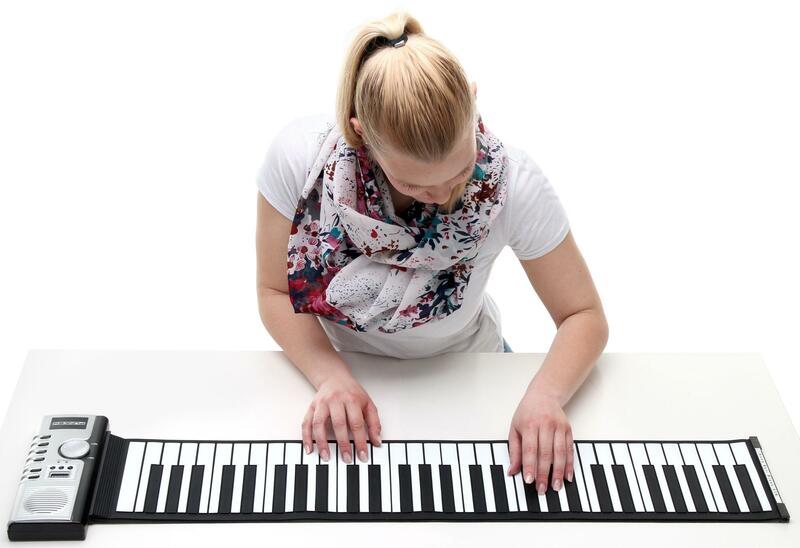 The Funkey RP-61 is an elastic silicone piano, which can be rolled up easily and taken anywhere. This is a cool tool you will always want to have with you, whether you’re on vacation at the beach, at a picnic or at a party with friends. The RP-61 has 61 flexible and washable silicone keys in the traditional piano setup. It’s also space-saving, just roll up and transport easily and safely. 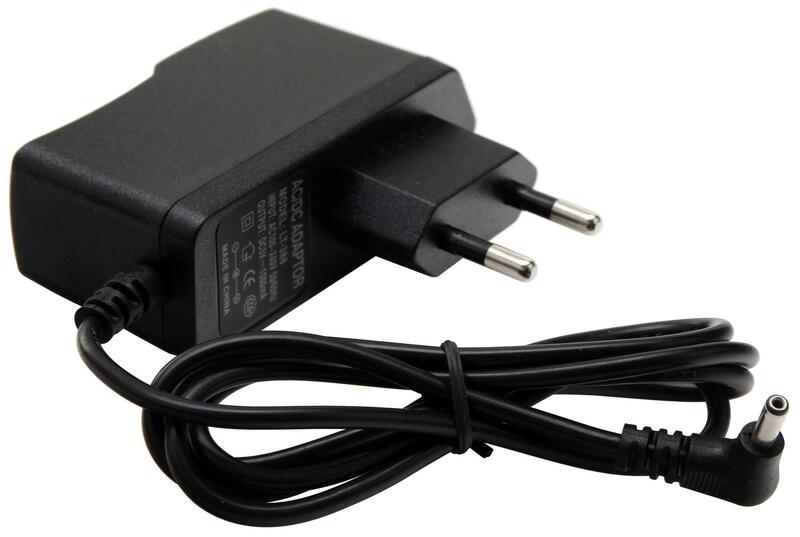 Weighing only 890 grams, it is a real lightweight and runs on 4 x AA batteries for up-to 10 hours! It’s ideal for musical entertainment on the go! With 128 different sounds, 100 different music style rhythms, 40 demo songs and a built-in speaker, this piano rolls up a lot of variety in one package and makes for unforgettable concerts. 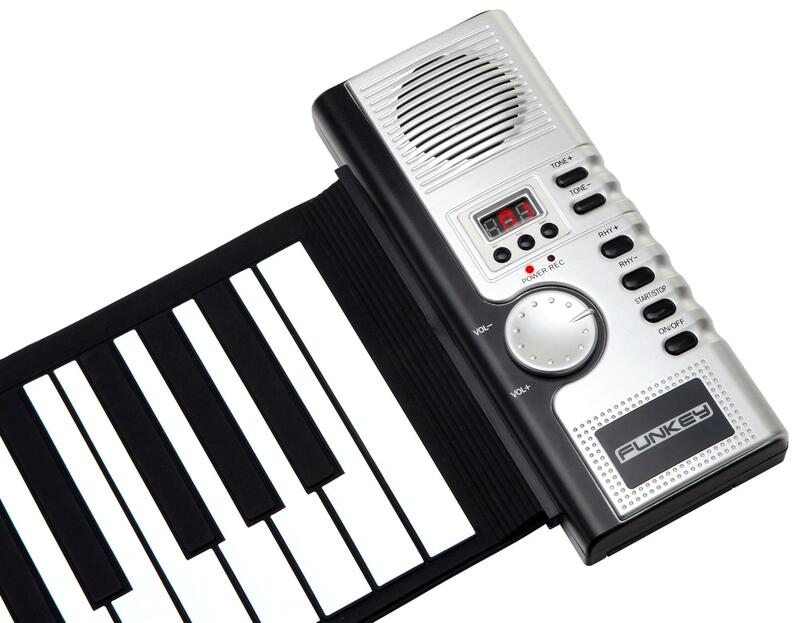 Whether at home or at parties, the Funkey RP-61 midi brings fun and enjoyment! 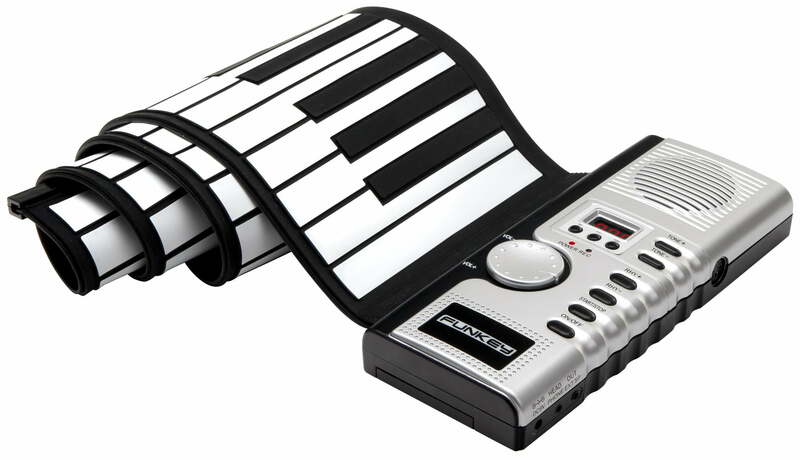 This silicone roll-up piano has a MIDI output to connect to other MIDI-enabled devices, such as when you’ve been given a sampler. With the AUX output, you can easily plug the RP-61 into your home stereo or connect headphones for peaceful practice sessions. 61-key piano with MIDI out jack.